Healing is deeper than physical. It happens on a spiritual level and most often the spiritual is where you really fix the root of a problem. 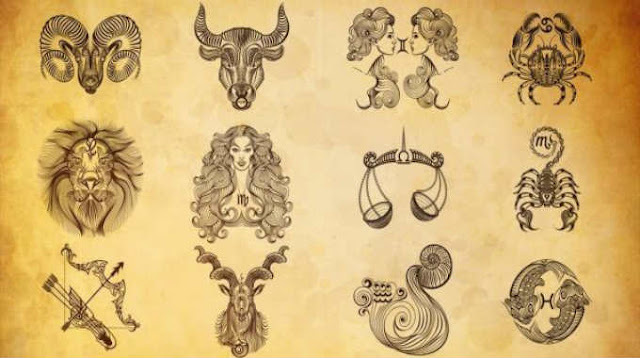 There are many different ways of healing and each zodiac sign has a specific healing method assigned to itself. If you wonder what the zodiac signs have to do with healing methods you have to realize what the zodiac signs are. There are 12 behaviors of energy your soul can take and through these behaviors your spirit is developed. These archetypes of energy are the zodiac signs. For each behavior there is almost a perfect method to untangle the knots that create energy blockages. Healing is a form of allowing energy to flow back to where it used to. Knowing the archetype of your energy you can choose the best method to have an impact on you. Your fiery energy is sometimes really hard to control. Especially when you need to sort things out and slow down. You are known to be the one paving the way. Give yourself permission to dedicate a few minutes for meditation in a day. Calm down. Listen to the wisdom behind your fire. Listen to your soul. You are the sign everybody can lean on to. Your practicality, patience and stability are strong enough for others to feel safe. But sometimes you can be a bit too set in your ways and you have trouble adjusting to change. Forest bathing can make your next trip into nature a more mindful experience, one that reminds you of a simple truth: Mother Earth is never stagnant, and you shouldn’t be either. You’re of two minds on just about everything, which makes it difficult for you to make a decision and stick with it. Thankfully, the hundreds upon hundreds of natural scents out there can speak to whatever mood you happen to be in on any given day. Feeling stressed out? Give some sweet orange a try. Can’t seem to calm your racing mind? Vetiver to the rescue. Intuitive and sensitive, you’re the one your friends turn to during hard times. Though you’re incredibly nurturing and maternal, sometimes you have trouble taking care of yourself as much as you take care of others. Yoga to the rescue. Get to the mat, look within, and connect with your body on a deeper, more intuitive level. Animated doesn’t even begin to the describe you, and you love storytelling and sharing your effusive energy with others. Though they may land a little high on the “woo-woo” scale, flower essences don’t scare you away since you’re willing to give just about anything a try once. So cook up some passionflower essence the next time your mental chatter is spinning out of control. The perfectionist of the zodiac, your attention to detail can leave you stressed, anxious, and overworked. Acupuncture is an incredibly powerful alternative medicine practice that has been shown to lower cortisol levels in the body and encourage a zen-like state of tranquility. You’re always trying to even out the scales and find harmony in everything you do, whether it’s by solving a two-sided disagreement or finding a perfect work-life balance. Ayurveda can help you bring that sense of equity within since it’s an ancient practice founded on the idea that the human body is composed of three energy centers that must be brought into balance for optimal health. You’re always searching for deeper meaning, and you’re not concerned with surface explanations. Life’s unknowns fascinate you, and for this reason you tend to be highly spiritual. Shamanism speaks to this unyielding curiosity. Shamans call on herbs, energy clearing techniques, and indigenous ceremonies to communicate with the spirit realm and help the living tap into the deeper depths of their personality. You are the ultimate free spirit and you’re always chasing wild, boundless adventure. Never one to shy away from new experiences, you won’t be happy until you explore every corner of the world (or at least, your immediate surroundings). Like therapy with music, sound healing is a great way to travel to new places without even leaving a room. And it’ll suit your adventure crave. Goal-oriented with a brain for business, you’re not afraid of hard work and you have big aspirations for the future. However, your drive can make you a bit overly practical, and you could use some more faith in the unknown. Reiki practitioners can influence your energy without even laying a finger on your body, and the ancient technique is sure to leave you a holistic convert. The mad scientist of the zodiac, you’re charming, intelligent, and a little quirky. Nothing is too out there for you and you see the world through a more idealistic lens. The rainbow of crystals out there speaks to your bright, bold personality, and the healing stones can help you manifest that dream life you have stored away in your mind. A dreamer who often has your head in the clouds, your perfect day is one spent out exploring nature or making art. Float therapy is a form of sensory deprivation that gives you a chance to be alone with your thoughts while submerged in 12 inches of water, and 1,000 pounds of Epsom salt. One hour in a tank is thought to have the same impact on the brain as a full day of sleep, giving you plenty of time to explore those big, mystical dreams.